Jamaican cuisine, as you can imagine, has a long list of influences from other cultures and continents. The early Spanish settlers, the African slaves, the Chinese and Indian workers who replaced them after emancipation and various European visitors have all left their mark on this island countries varied but distinctive cuisine. imported from West Africa in the 1700s. When ripe, it turns an orange or red color and splits open showing three shiny black seeds attached to creamy white or yellow flesh. Toxic when under ripe, it has the consistency of eggs when boiled. 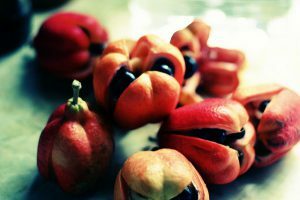 It figures prominently in Jamaican cuisine and some adventurous Jamaicans have started producing an ackee wine. The national dish is made with the fruit combined with cod, onions, peppers and spices. Curry dishes such as curry goat are very popular and show the influences of Chinese and East Indian immigrants. Jamaican patties, a spicy meat filled pastry, also likely has Chinese origins. Perhaps most famous of all, though, is Jerk. Jerk refers to a fiery spice mixture using the base ingredients of allspice, scotch bonnet peppers and thyme and may also include cloves, cinnamon, scallions, nutmeg, garlic, brown sugar, ginger and salt. 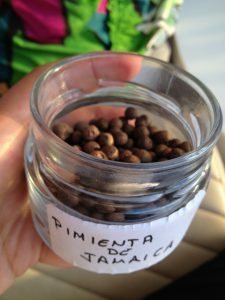 Jamaican Allspice is the dried unripe fruit of the pimenta dioica tree and is referred to as pimento by Jamaicans. The English gave it the name Allspice as it tasted similar to a blend of cinnamon and other other familiar spices. Its wood and leaves are often used to smoke jerk meats and its berries are used to make the allspice liqueur Pimento Dram, which we will use in our cocktail this month. 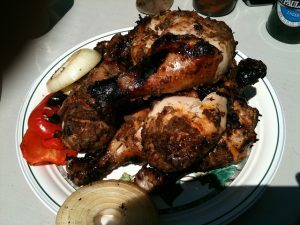 The jerk mixture is used as a dry rub or marinade for chicken, pork and other meats which are then grilled or smoked in barrels. 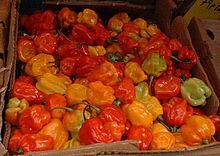 Readily available at jerk stands and shacks throughout Jamaica, this fiery specialty is also easy to find in Jamaican and Caribbean restaurants and cafes in most major cities. It is often served with braised cabbage and rice or with roti, an unleavened flatbread with Indian origins. The jerk spice blend can be found in most supermarkets as well. Callaloo is a side dish of amaranth greens braised and seasoned with salt, onions and scallions. Some Jamaican fish dishes with rather curious names include ‘stamp and go’, a type of fish fritter, ‘Solomon Gundy’, a pickled fish paté, and ‘run down’, a coconut milk flavored fish stew. Sorrel Tea is a brilliant red drink made with the flowers of the roselle flower. It is served hot or cold and sometimes as a Christmas punch with the addition of ginger and rum. 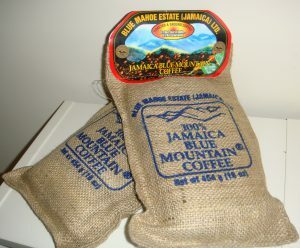 Blue Mountain Coffee is one of the most prized coffees in the world. It is sought after for its mild taste which is not as bitter as most other coffees. Grown in the Blue Mountains north of Kingston, it is roasted in small batches and can cost around $49/lb. It is a main ingredient in Tia Maria coffee liqueur. 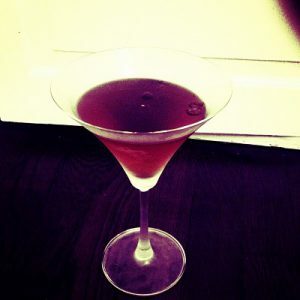 Shake with ice, pour into a martini glass and garnish with a few coffee beans.